Scottsdale is experiencing a multifamily housing boom with more than 6,000 apartments and condominiums currently under construction, in the development pipeline or recently hit the market. An added perk, all the construction activity is creating work for contractors and jobs for construction workers. 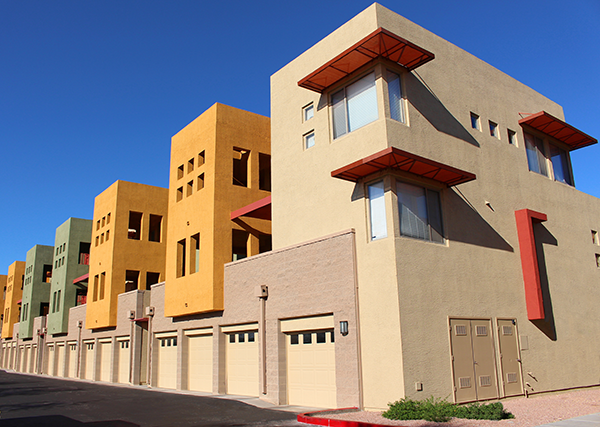 According to construction and development reports from the City of Scottsdale, new multifamily activity includes apartments at and close to Arizona State University’s SkySong technology center and condos in Old Town, according to construction and development reports from the city of Scottsdale. • A 282-unit mixed-use project under development by the Clayton Cos. at Scottsdale Road and Earll Drive. • A 154-unit Las Aguas apartments are under construction on the site of a former auto dealership on McDowell Road west of Scottsdale Road. • A 572-unit complex being built next to SkySong by Scottsdale-based organic food pioneer Mark Taylor. • Optima’s 781-unit Sonoran Village development at Camelback Road and 66th Street, in addition to Optima’s new apartment project under development in Phoenix near Kierland Commons. Scottsdale’s young, affluent population and an ample number of college students and recent college graduates are prime prospective tenants for Scottsdale’s multifamily housing market. New apartment projects are also opening or under development in central and downtown Phoenix—further proof that the multifamily market continues to be the strongest real estate segment in the Valley.